Discussion in 'iPhone and iPad Games' started by Boardumb, Jun 28, 2016. 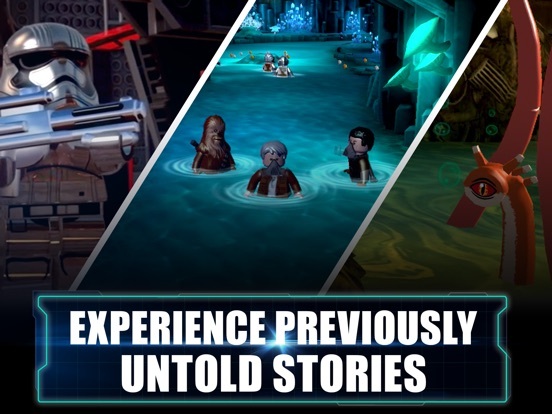 **The first chapter of “The Force Awakens” story is free and additional levels, story, and content are unlocked via in-app purchase. 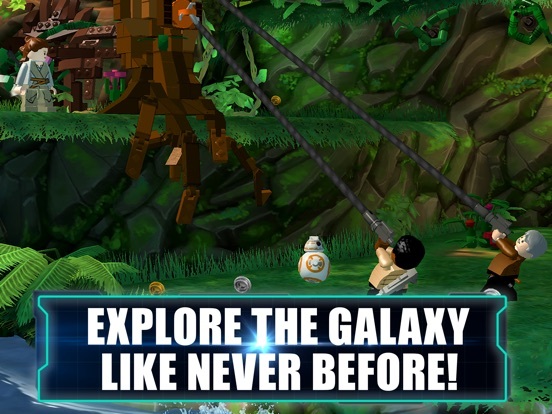 ** Relive the galaxy's greatest adventure in LEGO® Star Wars™: The Force Awakens™ for mobile! 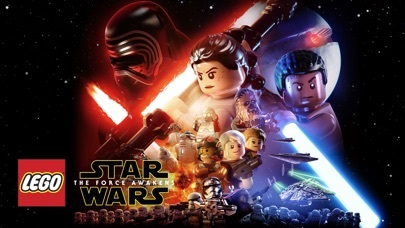 Play as heroic characters from the movie, including Rey, Finn, Poe Dameron, Han Solo, Chewbacca, C-3PO and BB-8, as well as Kylo Ren and General Hux. 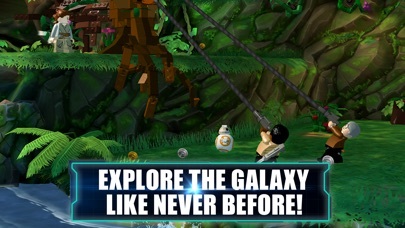 LEGO® Star Wars™: The Force Awakens™ immerses fans in the new Star Wars™ adventure like never before, retold through the clever and witty LEGO lens. 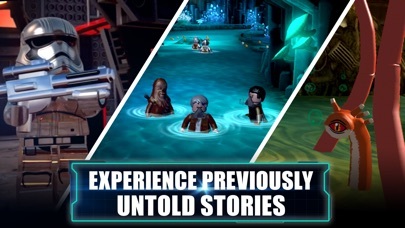 Additionally, players will experience previously untold story levels that explore the time leading up to Star Wars™: The Force Awakens™. 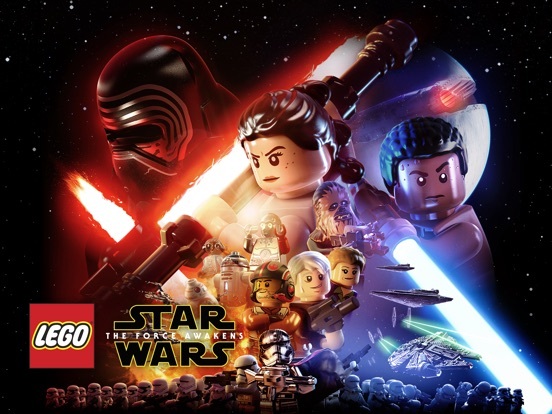 FEATURES: • LEGO Star Wars™: The Force Awakens™ introduces exciting gameplay mechanics never before available in a LEGO game including: Multi-Builds, Blaster Battles and enhanced flight sequences. • Choose from multiple building options with the new Multi-Builds system to solve puzzles, or just to have fun. All actions advance the experience in different ways. 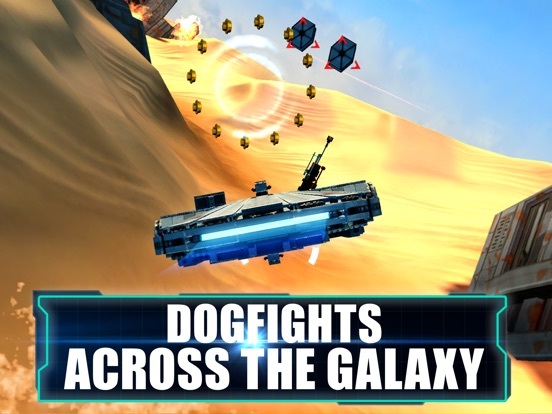 • Leverage your surroundings as cover and engage in intense Blaster Battles to drive back the relentless First Order and emerge victorious. 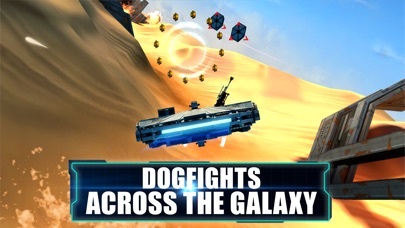 • Experience the thrill of high-speed, action-packed flight like never before, including arena-based aerial battles and dogfights. • Enjoy all new levels and characters with the purchase of the All Content Season Pass. Exciting content will be rolling out through the year. Couldn't "Get" this one fast enough and the first thing I'm doing is buying the season pass. Ditto. Don't know how much it costs, and I don't care. This is a huge release! anyone know the price of this? is there an option to buy the whole thing? I believe its a $10 spot for complete pass. Sorry everyone is going to hate me but these are the worst controls ever. Is this the same as the 3DS vita version and does it have MFI Controller support? Downloaded. It does support controllers! Bought season pass and played first level. These games always are pretty similar and follow the same formula (fine for me as I always liked). This one has an "evolved" feeling. Everything feels updated and refreshed. Controls great and looking forward to playing more. Im guessing this is what the 3DS version will look like, except lower resolution on the 3DS. My Vita version is on the truck for delivery tonight, but I'm tempted to buy this one as well. I *loved* Lego Jurassic World on the Vita and 100%'d the game there. Also bought Lego Jurassic World for iOS but haven't played it as much. Soooo tempted. Might try it on Vita first (easier controls) before hopping on the iOS version, but I'm a huge fan of the Lego games so I'll probably buy it again here. Me too! Couldn't get it fast enough. This is quite similar to Jurassic World in level design, but it definitely feels evolved and seems to have A LOT of content on the horizon. Rolling around as BB-8 was amazing! Can't wait to play some more. This was such a surprise and I'm so thankful that they made iOS a priority even though it wasn't advertised anywhere! This was such a surprise and I'm so thankful that they made iOS a priority even though it wasn't advertised anywhere! Yeah, there was no iOS logo at the end of any of the game trailers as a supported platform, so I'm pleasantly surprised to see this one released already. Just played the first level so far and it feels great and very polished. I also love how the loading screens of the ships flying through hyperspace is actually interactive, and you can move the ship around. Makes for a engaging wait instead of being boring. I like how they offer a free trial now. 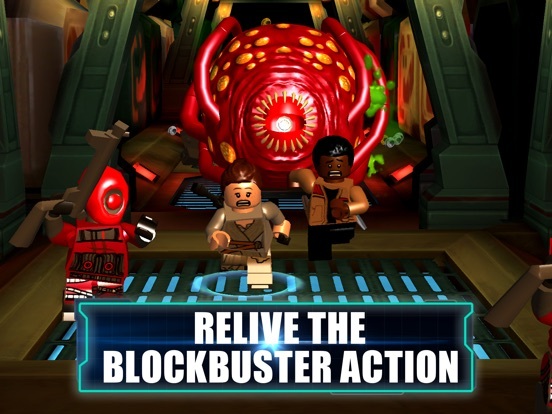 The Lego games are getting better and better, small improvements all the way. Although they're all pretty follow the same formula. 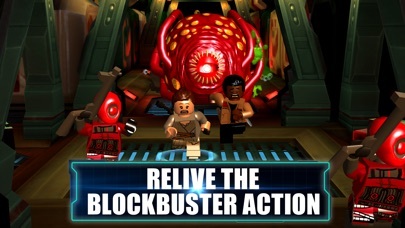 If you don't like the other Lego games this isn't going to change your mind. Personally I prefer playing the console versions, cause they feel a bit more robust and are easier to control. But if you don't have a console, the iOS version is a really good alternative.